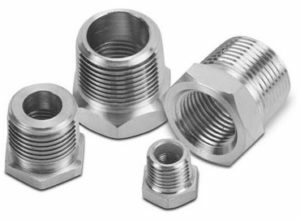 Conax Technologies provides four flange styles to accompany its compression seal fittings (sealing glands). All flanges are constructed of 304SST, 316SST or carbon steel. Alternate materials and grades are available – consult with the factory on your requirements. KF Vacuum Flange Mounts offer fast assembly and disassembly. They mate to Varian Klamp-Flange®, MDC Kwik-Flange® and similar vacuum flanges. This mounting style is ideal for roughing and high vacuum applications requiring frequent changeover, including sintering furnaces, vacuum furnaces, and semiconductor and powder metal fabrication processes. See pages 81-85 for details. Designed to mate with Varian Con-Flat®, MDC Del-Seal® or similar vacuum flanges, the Conax Technologies CF Vacuum Flange Mount provides high performance and reliable sealing in all types of vacuum applications. See pages 86-90 for details. SFA Flange Mounts are designed to mount to Tri-Clover 16 AMP sanitary flanges and equivalent. These mounts provide pressure/vacuum sealing against gases and liquids in pharmaceutical, food and dairy processing. See pages 91-99 for details. Conax Technologies sealing glands can be welded or threaded to ASME B16.5 flanges to create a rugged mounting for environmental sealing and/or securing the position of instrumentation sensor probes. 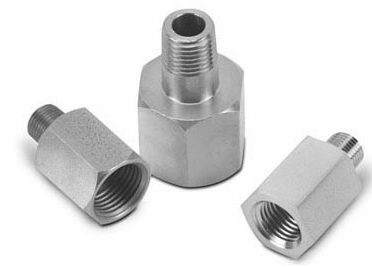 Use of flanges eliminates the need to weld mounting adapters to the pipe or vessel. Common applications include petrochemical processing and distribution, industrial furnaces, bulk cargo carriers, gas sampling coupons and gas storage silos. See pages 100-101 for details.